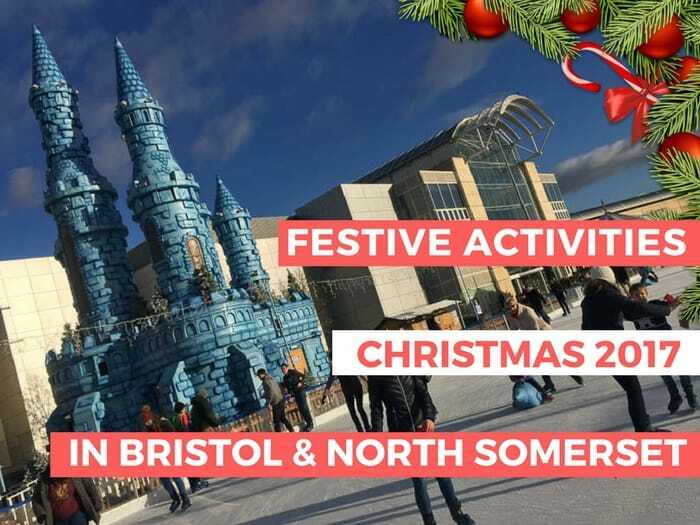 This fab festive family guide features places to go and things to do this Christmas in Bristol and North Somerset. Includes handy information on ice-skating rinks, Christmas markets, Santa’s grotto and Victorian Christmas celebrations. 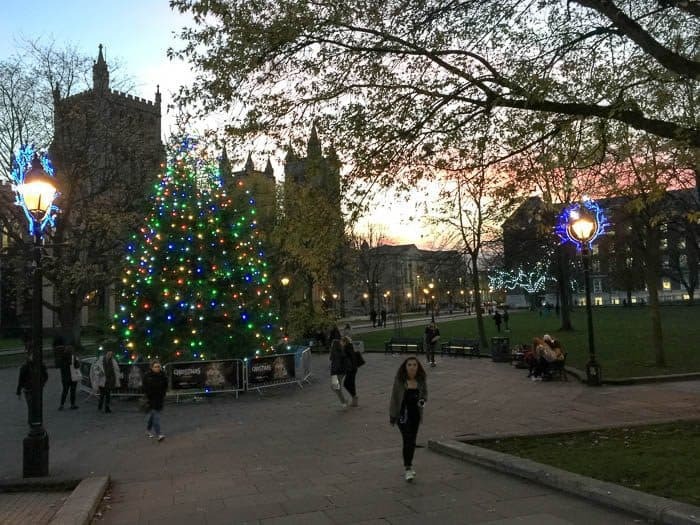 Our festive guide includes fun places to visit at Christmas in Bristol and North Somerset. I’ll be adding more details as I spot them and when you send them in so do keep checking back if you’d like to hear more. It doesn’t matter if you can’t make one of these special dates as families are always welcome and can visit free 365 days a year! We went last summer and learnt a lot about our beautiful cathedral and the broad range of activities they offer families. You can find out more in my Bristol Cathedral blog. 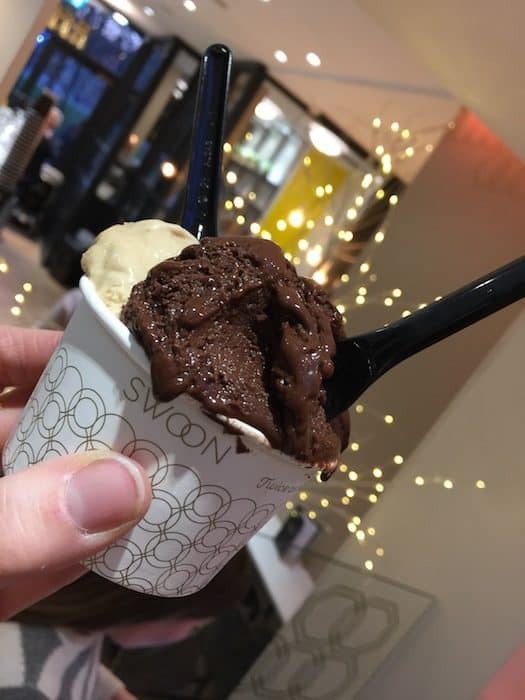 For a special family treat, you could walk across College Green to visit to Swoon and enjoy one of their award-winning gelati which they make from scratch. My boys couldn’t believe their luck when we took them there earlier this year. This year’s Christmas themed flavours include panettone, mince-pie and mulled wine. My hands-down favourite festive sorbetto was Biscotto di Nonna (Gingerbread Biscuit). Absolutely delicious! Last Christmas I went behind the scenes and you can see how they actually make gelato in this video. 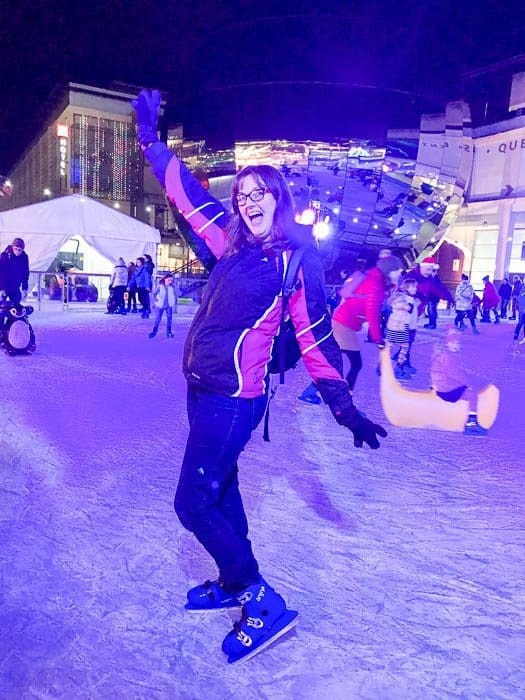 ICE SKATING SESSIONS (Until 16th January). When I tried this out recently, after a cautious start, I remembered how exhilarating this is. Note to self: Remember to join in and don’t let the children have all the fun! SKYVIEW WHEEL. 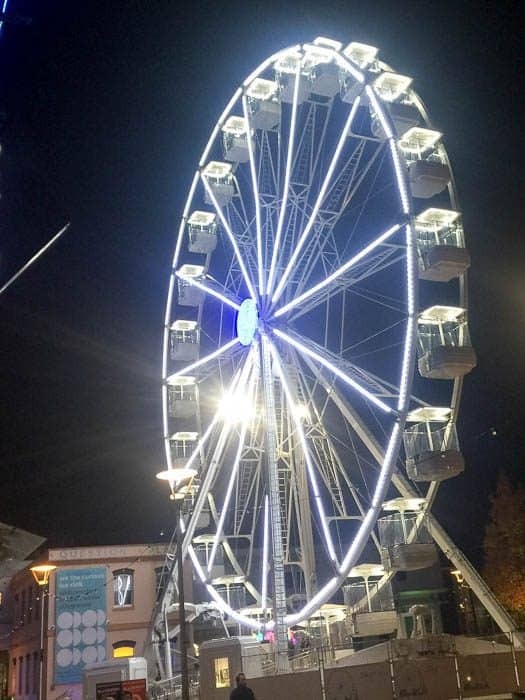 Admire the Christmas lights and fair from above during a five minute ride on the Skyview Wheel in Millennium Square. 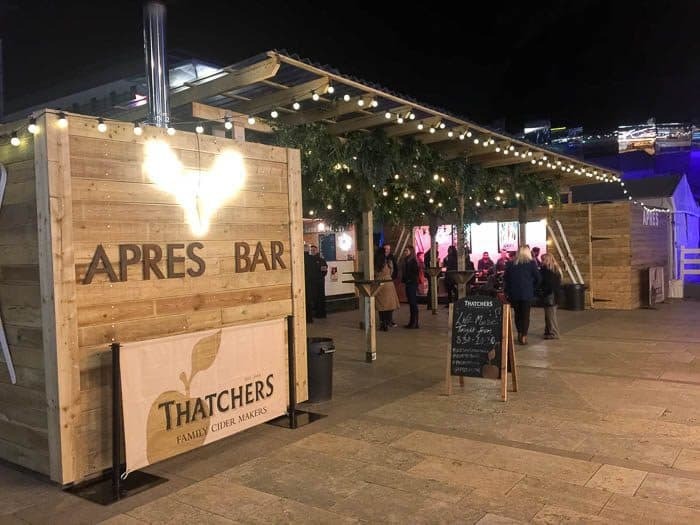 Pop into Aprés Bar next door to the skating rink where the grown ups can enjoy a selection of draught beers, mulled wine and hot cider in the container bar this winter. Seating is outside but heaters, rugs and fairy lights make it feel festive and seriously snug. Open 11am to 11pm. Visit the SS Great Britain which is open every day, except 24 and 25 Dec and the second Monday in Jan (8 Jan 2018). On the Victorian Christmas weekend you can step into a Dickensian winter scene with Victorian characters and snow falling around the decorated dockside at Bristol’s SS Great Britain. Have a look at SS Great Britain website for other forthcoming events. 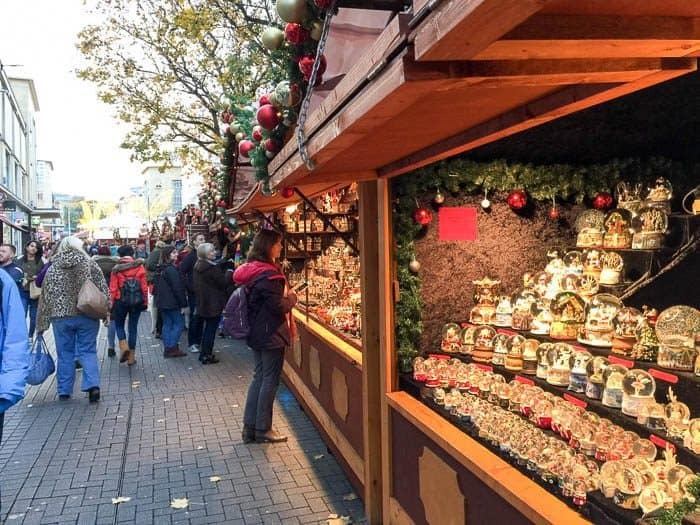 While you’re doing your Christmas shopping, why not browse around Bristol’s markets for some unique gifts? 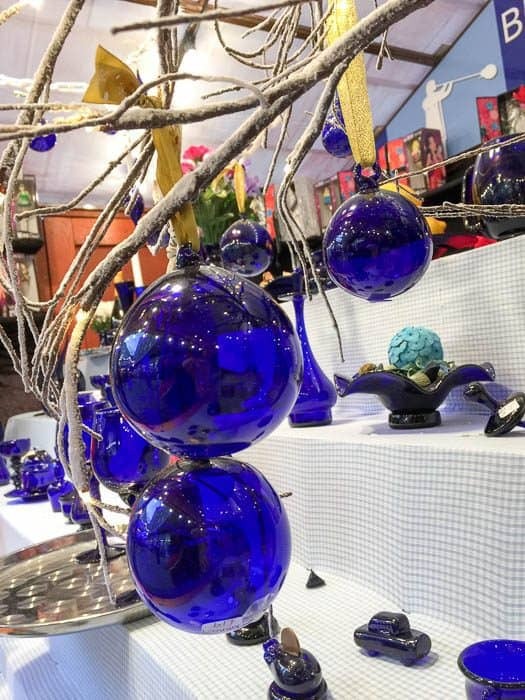 We had a wander around Bristol Shopping Quarter Market in Broadmead and spotted little treasures like hand-made Christmas decorations and these Bristol blue glass baubles. 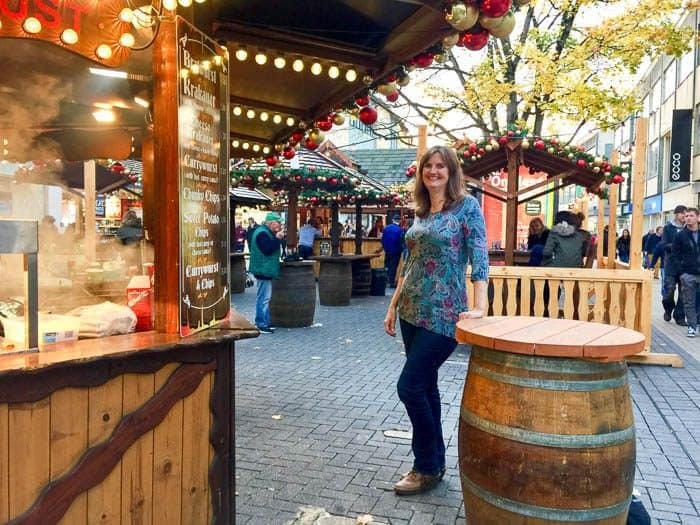 There’s plenty of street food on offer and as we browsed, the tempting aromas of griddled German sausages and warm donuts vied for our attention. 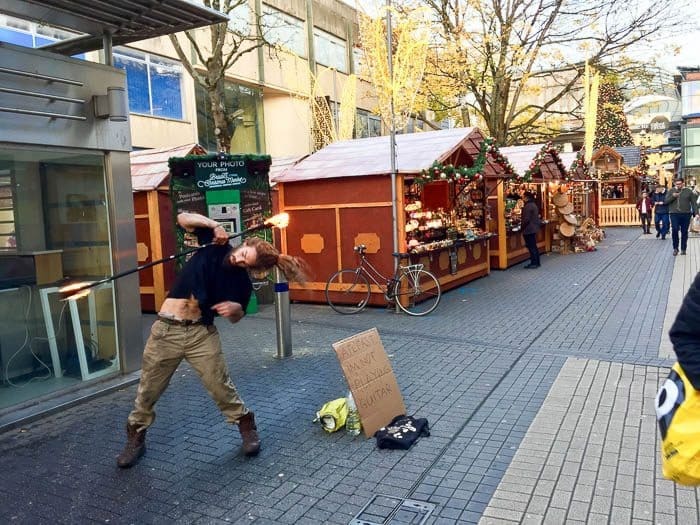 A street performer juggling fire offered colourful casual entertainment and the giant Christmas tree in front of the entrance to Cabot Circus shopping centre completed the scene. 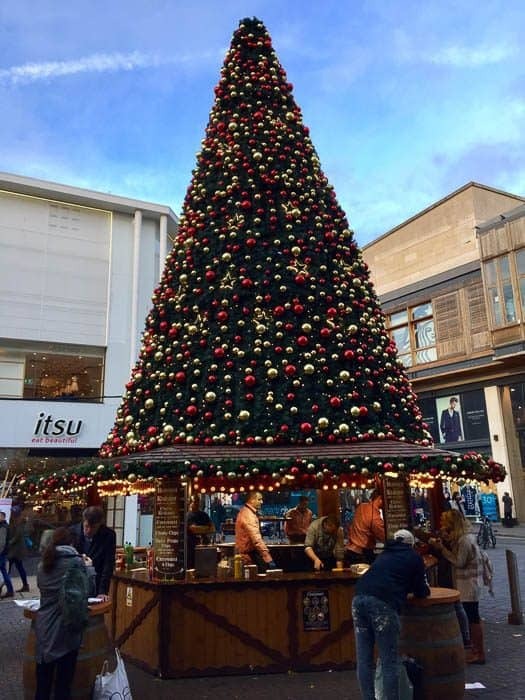 Warm up with a mulled wine at the German Christmas themed Jägerbarn Bar in the middle of Broadmead. Last weekend Noah’s Ark invited us over to see what they’ve laid on for Christmas this year. We had a fabulous day out enjoying the enormous rural site, the variety of animals from meerkats to tigers, hours of fresh air and talking to the knowledgeable staff who seemed to be able to answer every question an inquisitive nine year old could throw at them! In addition to the normal activities, here’s what you can expect there for Christmas. See the elephants working out ways to eat the Christmas trees which are suspended from the rafters above them. The zoo looks at forms of enrichment for the animals so seasonal props like these Christmas trees can help to keep the elephants stimulated. Find the Christmas trees decorated by the keepers and join in with the fun while helping them raise money for charity. Emma and Julie from the African department were telling me about the work of their chosen charity, The Giraffe Conservation Foundation. As well as a collection box, they’re coming up with creative ways to raise money such as charging £1 to let the public feed the giraffes which will go towards helping giraffes which are endangered in the wild through habitat loss as well as being hunted for meat, clothing and jewellery. 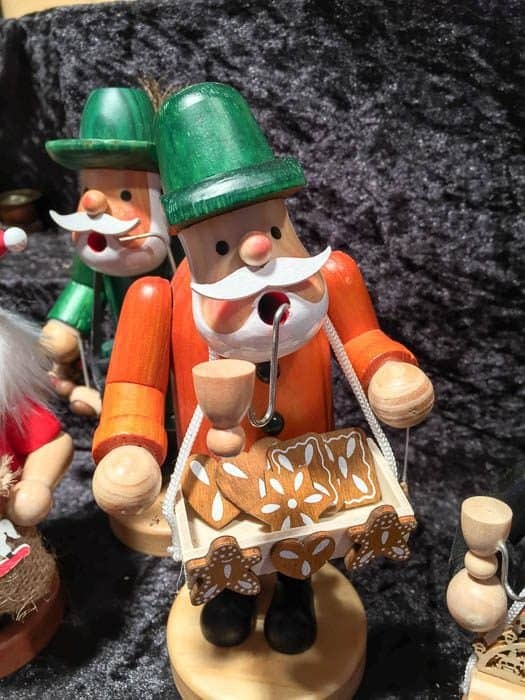 Saturday 9th December: Ark Angel choir performance at 2pm in the Ark Arena when Zoo Keepers sing some tunes to fundraise for the Crisis Centre. Saturday 23rd December: Come along and get involved with your very own Christmas Nativity with real live animals. At 2pm in the Ark Arena we’re inviting you to get involved and tell the Christmas Story. All props and script will be provided just turn up on the day and get involved. Tyntesfield takes the season’s best loved traditions and brings them to life with their immersive Victorian experience. With stockings full of festive family fun, traditional decorations, storytelling, dancing and games, soak up the atmosphere as the Gibbs family and their servants prepare for the festivities. Pre-bookable house tickets are now sold out but there will be tickets available on the day from the Ticket Office on a first come, first served basis. 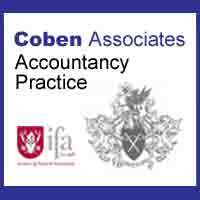 Many thanks to my husband’s independent accountancy practice Coben Associates for kindly sponsoring our Christmas in Bristol and North Somerset Guide. If you need help with your accounts or would like a free consultation, click the logo below for Coben’s contact details. If your organisation would like to be involved in supporting this or any of our community features please email jane @ practicallyperfectmums.co.uk. If you have any other information or updates about local Christmas events, then please comment below or email me on the address above. P.S. Details of these and more events will be on the Special Events Calendar. Always check with the organiser before you travel as times and prices may be subject to change.